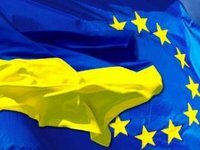 More than half of the citizens of Ukraine believe that the country needs to become a member of the European Union, considering the improvement of living standards and assistance in fighting corruption as the main advantages of joining the EU, according to a poll conducted by Kucheriv Democratic Initiatives Foundation and Kyiv International Institute of Sociology (KIIS). The majority of Ukrainians (52%) believe that Ukraine needs to become a member of the European Union. At the same time, about a third of respondents (34%) disagree with this and another 15% could not decide on their position, according to the survey data released at a press conference in Kyiv on Friday. At the same time, the survey results show that in Ukraine there are regional differences in relation to Ukrainians for membership in the EU: the western and central regions of the country (79% and 58%, respectively) most want to see Ukraine in the EU, while the southern and eastern regions of the country (58% and 57%, respectively) largely do not share the European integration aspirations of Ukrainians. Some 38% of Ukrainians consider raising the standard of living of people as one of the main advantages of membership in the EU, while assistance in fighting corruption is considered important by 27% of Ukrainians and free movement abroad - by 26% of Ukrainians, the poll says. The survey was conducted in all regions of Ukraine except for Crimea and the occupied territories of Donbas from August 16 to August 28, 2018 with 2,041 respondents interviewed. The margin of error is 2.3%.